With the ever expanding list of health and fitness supplements making it to the market. One question keeps emerging for athletes or health and fitness professionals. Or just anyone looking to reach their body's full potential and feel the best they can possibly feel. That question? What supplements are best for my health and fitness goals? Before this can be answered, you must first know what those goals are. If you haven't already, you should make a list of your health and fitness goals. Physically write them down on paper. Keep it somewhere that you will see it everyday. Use it as a reminder to keep you on track and as motivation to push you forward. After you have listed out your goals, you can now look at what health and fitness supplements might help you along the way. While keeping in mind, no supplement will make you achieve your goals without hard work and dedication along with it. Some of the most common health and fitness goals are weight-loss, muscle gain, increased energy, proper hydration and better overall wellness. I will cover these categories in detail and explain what I think would be the best supplement regimen to help achieve each of these goals. But before I get into these categories, I want to go over the importance of using all natural, Organic, Non GMO, chemical free, additive free, preservative free, supplements free of anything artificial. The real question is, how many people out there that are looking out for their body's wellbeing and trying to live a healthier life, actually care about their vitamins being colorful and shiny? It does seem to be the common marketing gimmick with most products, so why not right? 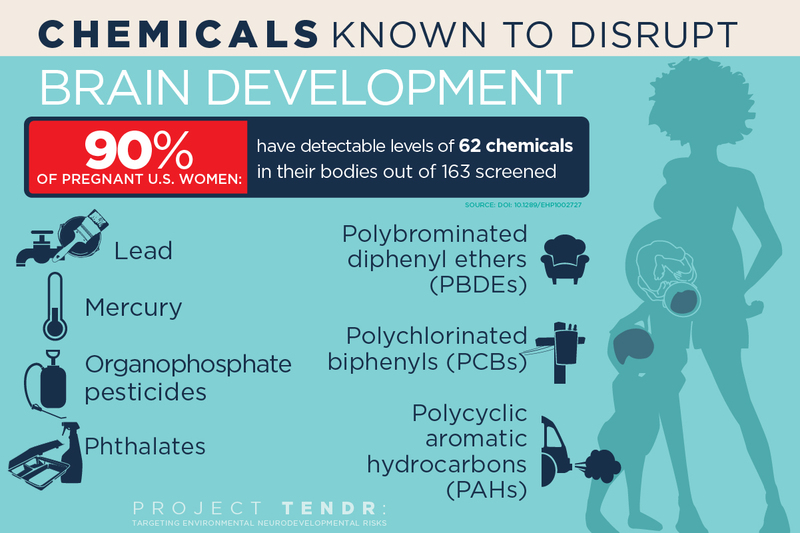 One reason why these artificial colors should not be in our foods, or supplements, is that the FDA itself has "probed" into the connection between artificial food dyes and children’s behavior. With more and more mounting evidence that fats and fatty acids are not only good for us, but essential for optimal brain, and immune function. As well as helping with inflammation, joint mobility and discomfort. Including even being prescribed as a treatment for arthritis. All kinds of companies are coming out with what they call "Healthy" fatty acid supplements, such as "Fish Oil". One problem is, fish high on the food chain can accumulate mercury, lead and other contaminants. Those metals the fish accumulate can make their way into your fish oil supplements. Now that is something that anyone looking to better their health should not want in their health supplements. In California in 2010, high levels of PCBs in fish oils led to a lawsuit that stated the supplement manufacturers should have placed warning labels stating the cancer risk on their fish oil supplements. Additionally, in 2011 testing by Consumer Reports showed 1/3 of the fish oils tested had high "PCB" levels. So be careful which brands and companies you trust when buying your "Omega-3 Fatty Acid Supplements" such as fish oil. Make sure that it is Organic whenever possible, to avoid higher levels of pesticides and herbicides. It should be from a trusted health supplement company or store such as Organic Muscle or Whole Foods to ensure the quality of the supplement. Last but not least, always read the label. Even if the supplement is from a company you trust, you should still want to know whats all in it and how you should take it. 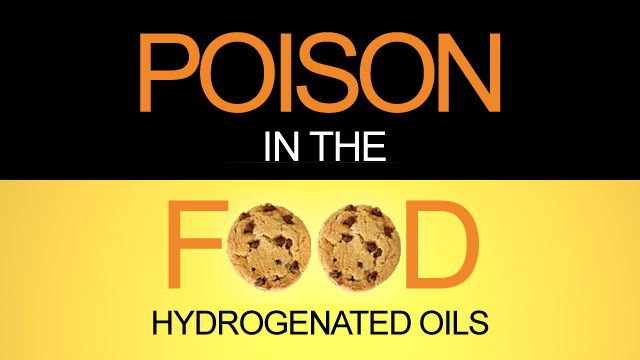 Yes thats right, some supplements that are being sold for personal health and wellness are loaded with horrible hydrogenated oils. What are Hydrogenated Oils? Why are they bad for you? Hydrogenated Oils are typically the primary source of Trans Fats in a persons diet. These are toxic fatty acids that increase Low-Density Lipoprotein (LDL, or ‘bad’) cholesterol and decease High-Density Lipoprotein (HDL, or ‘good’) cholesterol. These factors contribute to the leading cause of death, Coronary Heart Disease (CHD). Most of the Trans Fats in the foods and supplements that we consume in our diets comes from Hydrogenated or even worse, Partially Hydrogenated Oils. What is the difference between the two? What happens during the hydrogenation process? Products like shortenings and margarines are made from liquid vegetable oil. The Hydrogenation Process comes into play to give these products there solid form at room temperature. This process turns liquid oils into solid fats, making them more saturated. When the process is done fully (Fully Hydrogenated Oils) the trans fat content is minimized, making the fully hydrogenated oils a little better than their partially hydrogenated counterpart. Both still contain the Trans Fatty Acids that have been shown to increase risk of Cardiovascular Disease. As if the oils themselves weren't bad enough for you, the process in which they are made also uses gases and heavy metals to change these oils from liquids to solids. During the process of hydrogenation, hydrogen is forced into heated vegetable oil by using a nickel catalyst. Forcing the hydrogen into the oil will then change the chemical structure to make the oil become solid. Because this process makes the oils solid, margarines and shortenings were traditionally only partially hydrogenated to keep them slightly soft. Okay, but why are these oils in my vitamins? Good question. Hydrogenated oils are used in vitamins, health and fitness supplements and other products as a filler. Thats right, companies add these horrible toxic oils just as a filler because they are cheap and that will help make their product larger and seem more appealing. Looks aren't everything folks. So look out for these oils on the labels of your vitamins and other fitness supplements. Now that you are aware of a few of the dangerous ingredients added to vitamins and health supplements. I can break down some awesome, healthy, all natural health and fitness supplements from trusted companies like Organic Muscle. Not only are these supplements free of all the harmful ingredients I mentioned, but these are supplements I actually use myself. So I can testify to how well they work, what they did for me and how I use them as a tool to achieve my fitness goals. It can be hard to make sure you are getting all the nutrients that you need. Even with the help of supplementation. Sometimes you find yourself with a cupboard full of products that you could have all-in-one. Thats where Detox Organics comes in. They make a great "Daily Superfoods" supplement, that is packed with 25 Superfoods. These superfoods give you the vitamins, minerals, greens and digestive enzymes you need to get going everyday! Every day, you're exposed to toxins in various amounts through the air, water, food - and even the products you consume day in and day out. The Detox Organics "Daily Superfoods" formula provides daily support for the healthy elimination of these harmful toxins and helps provide overall wellness and vitality. This completely unique, 3-Phase ALL-IN-ONE blend helps remove harmful toxins while boosting energy & reducing inflammation. Just 1-scoop every morning promotes fat loss, eliminates bloat & eases digestion. The best part is you’ll feel its effects after just one glass - guaranteed! Are you ready to detox your body the right way? You can now Save 15% with Code: Brando at Checkout! On to the fats, in the form of MCT Oil's. I supplement with MCT Oil from naturally refined "Organic Coconut Oil & Avocado Oils" to help keep my body in Ketosis and "Fight Fat, With Fat!". When you are in a ketogenic state, you burn fats for energy like this MCT Oil. MCTs (Medium Chain Triglycerides) are beneficial fats that can be quickly metabolized by the body for energy. While some brands source their MCT from cheap, environmentally destructive palm oil. Coconut and avocado oils sourced from organic, eco-friendly farms are a much better and cheaper way to go. Using these fats for energy is way more efficient than using glucose. Fats can be converted to energy faster, it lasts longer and without a crash. This energy is also quick fuel for the brain. Because you are burning fats for energy when in ketosis, it burns the fat off of your body as well. Countless people have achieved amazing results losing weight while in Ketosis. Without even exercising, which I do suggest to add into your routine for better results. This is why I recommend the Ketogenic Diet to anyone whose main goal is to lose weight. As well as recommending supplementing with those plant based fats, to help boost and keep you in Ketosis. Pre-Workouts are among the worst of the health and fitness supplements to be loaded with the harmful ingredients I covered. Especially artificial colors, fillers and preservatives. To avoid all these toxic chemicals I use an All Natural, Organic, Gluten Free, Chemical Free, Non GMO, Vegan Pre-Workout from Organic Muscle. This certified organic pre-workout fuels your workouts with a blend of ancient herbs and superfoods! This blend includes Maca Root, which The Ancient Incan Civilization revered for its stamina and energy enhancing properties. Ginseng, that has a history dating back 5,ooo years! It has long been known for its stimulating effects, promoting endurance, circulation and mental focus. Acai Berry, indigenous to the Amazon, this berry is well known for boosting mental function and cellular health. This is just naming a few of the many other herbs and superfoods included in this great pre-workout supplement. This supplement gives you a great pump and enough energy to take your workouts to the next level! This is truly fitness the way mother nature intended, and ideal for anyone looking to gains in the gym and in lean muscle mass! Organic Muscle also Plants a Tree for Every unit sold! Save 15% with Discount Code: Brando at Checkout. When it comes to protein powder for those looking to gain strength and muscle, while sticking to their plant based diets. There is nothing better than Organic Muscle's Organic Plant Based Vegan Protein. Using a powerful blend of plants and superfoods for a complete protein source. These plants and superfoods include hemp, sacha inchi, pea and rice protein. Both pea and rice isolate proteins are powerful on their own, but mixed together, they are a dairy-free, vegan friendly powerhouse that can compete with whey protein! Now that we have covered the proper supplements for weight-loss and muscle gain, I want to go over hydration. After you have used the plant-based fats to aid in your weight-loss and gain energy. Along with the ability to take your workouts to the next level with the pre-workout and rebuild lean muscle mass with the protein powder. You now need to recover, refuel and yes you guessed it, rehydrate. While we should all make sure we drink the proper amount of water everyday, sometimes we need to rehydrate with supplementation as well. Especially when we sweat out electrolytes after an intense workout. This is where Organic Muscle's Organic Replenisher comes in. Throughout history, warriors and athletes have utilized the power of mother nature to help themselves recover from combat and competition. Organic Muscle has harnessed this ancient wisdom of powerful herbs and superfoods to bring you a groundbreaking, USDA Certified Organic, Recovery & Intra-Workout Supplement! This organic formula can help increase stamina, speed up recovery and replenish vital electrolytes and nutrients. Without all those harmful ingredients the other guys use. This is fitness supplementation the way mother nature intended!